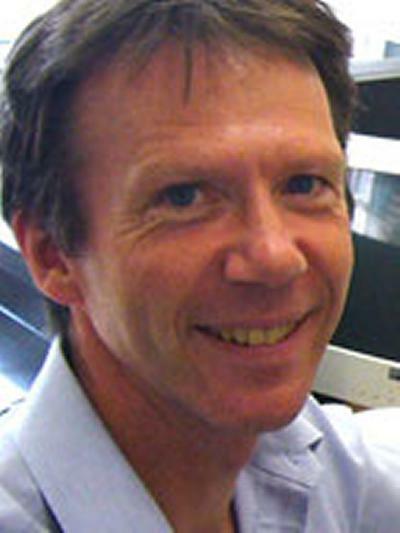 Professor James Nicoll is Professor of Neuropathology within Medicine at the University of Southampton. Prof Nicoll was appointed to the Chair of Neuropathology in 2001. Having graduated in Medicine from the University of Bristol, he trained in Pathology in Oxford and Cardiff and returned to Bristol to undertake specialist training in Neuropathology (1987-1992). He completed his MD in Bristol investigating the role of herpes simplex virus in neurological disease using molecular tools. He then held a clinical academic post in Neuropathology at the Institute of Neurological Sciences/University of Glasgow. While in Glasgow he developed interests in the parallels between the response of the brain to acute injury, for example due to trauma or stroke, and Alzheimer's disease; specifically that they share common cellular reactions, upregulation of similar proteins and possibly share genetic influences. Prof Nicoll has been Professor of Neuropathology and Honorary Consultant Neuropathologist in Southampton since 2001. He shares responsibility for providing the clinical diagnostic neuropathology service to the Wessex Region (a population of approximately 3 million). He is involved in associated undergraduate and postgraduate teaching and training has co-authored an introductory textbook on Neuropathology (Adams & Graham's Introduction to Neuropathology. 3rd Edition. Graham DI, Nicoll JAR & Bone I. Published by Hodder Arnold, London, 2006. ISBN 0 340 81197 9). He is a Fellow of the Royal College of Pathologists and a member of the British Neuropathological Society. He participates in the Royal College of Pathologists Continuing Professional Development Scheme and the UK Neuropathology External Quality Assurance Scheme. He also has experience in medicolegal aspects of Neuropathology. In Southampton Prof Nicoll has continued his research interests in neuroinflammation, neurodegeneration and cerebrovascular disease. His work closely links diagnostic neuropathology and neuroscience research. He and his colleagues were the first in the world to describe and characterise the effects on the brain of immunisation against Aβ, being used as potential therapy in Alzheimer's disease. My major research interests are in fields of neurodegeneration, brain injury, cerebrovascular disease and the potential for regeneration in the brain. I am particularly interested in underlying disease mechanisms and how genetic variation influences disease processes in the brain. After promising experimental studies, the first human trial of Aβ immunisation in Alzheimer's disease was undertaken by Elan Pharmaceuticals and recruited patients from across southern Britain, including Southampton. As a consequence we had the opportunity to be the first to observe, and attempt to understand, the effects of Aβ immunisation on the brain in Alzheimer's disease (Nicoll et al, Nature Medicine, 2003, 9, 448; Nicoll et al. JNEN, 2006, 65, 1040). The findings are remarkable in that this approach can modify the underlying neurodegenerative process, specifically by removing the plaques from the cerebral cortex. In collaboration with our colleagues in other centres across southern Britain we have performed a long term clinical and neuropathological follow-up of patients who were recruited to this study (Holmes et al, Lancet, 2008, 372, 216). These studies confirm that removal of Aβ plaques can occur following Aβ immunisation, sometimes almost completely, but that this does not seem to be sufficient to halt the progressive neurodegeneration. Current work attempts to understand the complex sequence of changes in the Alzheimer brain that is provoked by immunotherapy which includes alterations in the associated tau pathology (Boche et al, Acta Neuropathol, 2010, 120, 13), the cerebral vasculature (Boche et al, Brain, 2008, 131, 3299), the microglia (Zotova et al Neuropath Appl Neurobiol, 2011, 37, 513 & Brain, 2013, 136, 2677) and soluble Aβ (Maarouf et al Mol Neurodegeneration, 2010, 2, 39). Understanding the pathophysiological responses (Boche et al, Acta Neuropathol. 2010, 120, 369) may help to guide and understand the results from the many current clinical trials of Aβ immunotherapy for this common, distressing and costly disease. This work is funded by Alzheimer's Research UK. The hypothesis being explored in this study is that the Aβ protein which accumulates as the plaques in Alzheimer's disease causes cognitive dysfunction indirectly by provoking an inflammatory reaction, activating microglia, which in turn damages the neurons (Perry et al, Nature Reviews Neurology, 2010, 6, 193; Boche & Nicoll, Neuropathol Appl Neurobiol, 2013, 39, 3). This follows previous work suggesting that specific polymorphisms in the genes encoding the cytokine IL-1 are over-represented in Alzheimer's disease (Nicoll et al, Ann Neurol, 2000, 47, 365-8) and more recent GWAS data implicating inflammatory processes. Current projects include a collaboration with the Cognitive Function in Ageing Study (Ince, Sheffield and Brayne, Cambridge), funded by the MRC, and assessment of the role of systemic inflammation on microglial activation, funded by Alzheimer's Research UK. Mediation of neurodegeneration in Alzheimer's disease by microglial activation has considerable implications in terms of in vivo imaging and therapy. Changes in the blood vessels are a ubiquitous feature of the ageing brain and play an important, but poorly understood, role in cognitive dysfunction. The Weller perivascular drainage hypothesis (Weller et al, Acta Neuropathologica, 2009, 118, 87) states that extracellular fluid in the brain drains out of the brain, analogous to the lymphatics in other organs, along the walls of blood vessels. Impairment of drainage due to vessel ageing causes accumulation of Aβ in the walls of cerebral vessels (cerebral amyloid angiopathy) and may have detrimental effects on brain homeostasis, contributing to cognitive dysfunction. I collaborate with colleagues (Carare and Hawkes) who are pursuing this concept in human and animal studies (Carare et al, Neuropath Appl Neurobiol, 2008, 34, 13; Hawkes et al, Acta Neuropathologica, 2011, 121, 431; Hawkes et al, 2012, PloS One, 7, e41636). There is a microglial response in the brain after head injury which may persist for a prolonged period (Smith et al Neuropathol Appl Neurobiol 2013, 39, 654) and affect neuronal function. We have found evidence that cytokine gene polymorphisms, notably TNFα, influence clinical outcome (Waters et al, J Neurotrauma, 30, 1710). Manipulating the neuroinflammatory response after traumatic brain injury may be a therapeutic option. APOE is important in transporting cholesterol and lipids to neurons for maintenance and repair and in accumulation of Aβ in the brain. The APOE gene polymorphism is the major genetic risk factor for Alzheimer's disease, correlating strongly with the neuropathological features (Nicoll et al, Neuropath Appl Neurobiol, 2011, 37, 285); plays a role in outcome from traumatic brain injury (Nicoll et al Nature Medicine, 1995, 1, 135; Teasdale et al, 1997, Lancet, 350, 1069; Teasdale et al, Brain 2005, 128, 2556); and is a risk factor for stroke due to CAA-related haemorrhage (Nicoll et al, Ann Neurol, 1997, 41, 716). BRAIN UK (http://www.som.soton.ac.uk/research/sites/brainuk/) is a virtual Brain Bank which facilitates the use for research of brain tissue stored in the archives of Neuropathology departments throughout the UK. This project is an extended collaborative venture with many colleagues, supported by the British Neuropathological Society and funded by the MRC. Teeling, J. L., Carare, R. O., Nicoll, J. A. R., Weller, R. O., & Perry, V. H. (2008). Biological consequences of immune complexes formation in the brain; implications for immunotherapy to treat Alzheimer's disease. Neuropathology and Applied Neurobiology, 34(s1), 1-1. Boche, D., Nicoll, JAR., & Weller, RO. (2006). Immunotherapy for Alzheimer's disease and other dementias. Clinical Neuropharmacology, 29(1), 22-27. Johnson, V. E., Murray, L., Raghupathi, R., Stewart, J., Nicoll, J. A. R., MacKinnon, M. A., ... Graham, D. I. (2006). No evidence for the presence of apolipoprotein epsilon-4, interleukin-1 alpha allele 2 and interleukin-1 beta allele 2 cause an increase in programmed cell death following traumatic brain injury in humans. Clinical Neuropathology, 25(6), 255-264. Nicoll, J. (2006). The effects of A beta immunization on the pathology of Alzheimer disease. Neurobiology of Aging, 27(Supplement 1), S15-S15. Smith, C., Gentleman, S. M., Leclercq, P. D., Murray, L. S., Graham, D. ., & Nicoll, J. A. R. (2006). The neuroinflammatory response after traumatic brain injury. Journal of Neurotrauma, 23(5), p.759. Leclercq, P. D., Murray, L. S., Smith, C., Graham, D. I., Nicoll, J. A. R., & Gentleman, S. M. (2005). Cerebral amyloid angiopathy in traumatic brain injury: association with apolipoprotein E genotype. Journal of Neurology, Neurosurgery, and Psychiatry, 76(2), 229-233. Waters, R. J., & Nicoll, J. A. R. (2005). Genetic influences on outcome following acute neurological insults. Current Opinion in Critical Care, 11(2), 105-110. Boche, D., Nicoll, JAR., & Weller, RO. (2005). Immunotherapy for Alzheimer's disease and other dementias. Current Opinion in Neurology, 18(6), 720-725. Kay, A. D., Petzold, A., Kerr, M., Keir, G., Thompson, E., & Nicoll, J. A. R. (2003). Alterations in cerebrospinal fluid apolipoprotein E and amyloid beta-protein after traumatic brain injury. Journal of Neurotrauma, 20(10), 943-952. Love, S., Nicoll, J. A. R., Hughes, A., & Wilcock, G. K. (2003). APOE and cerebral amyloid angiopathy in the elderly. Neuroreport, 14(11), 1535-1536. Pritchard, J., Hughes, R. A. C., Rees, J. H., Willison, H. J., & Nicoll, J. A. R. (2003). Apolipoprotein E genotypes and clinical outcome in Guillain-Barré syndrome. Journal of Neurology, Neurosurgery and Psychiatry, 74(7), 971-973. McCarron, M. O., Stewart, J., McCarron, P., Love, S., Vinters, H. V., Ironside, J. W., ... Nicoll, J. A. (2003). Association between interleukin-1A polymorphism and cerebral amyloid angiopathy-related hemorrhage. Stroke, 34(10), e193-e195. Kay, A. D., Petzold, A., Kerr, M., Keir, G., Thompson, E. J., & Nicoll, J. A. R. (2003). Cerebrospinal fluid apolipoprotein E concentration decreases after traumatic brain injury. Journal of Neurotrauma, 20(3), 243-250. Lendon, C. L., Harris, J. M., Pritchard, A. L., Nicoll, J. A., Teasdale, G. M., & Murray, G. (2003). Genetic variation of the APOE promoter and outcome after head injury. Neurology, 61(5), 683-685. Millar, K., Nicoll, J. A. R., Thornhill, S., Murray, G. D., & Teasdale, G. M. (2003). Long term neuropsychological outcome after head injury: relation to APOE genotype. Journal of Neurology, Neurosurgery and Psychiatry, 74(8), 1047-1052. Kay, A. D., Day, S. P., Kerr, M., Nicoll, J. A. R., Packard, C. J., & Caslake, M. J. (2003). Remodeling of cerebrospinal fluid lipoprotein particles after human traumatic brain injury. Journal of Neurotrauma, 20(8), 717-723. Liaquat, I., Dunn, L. T., Nicoll, J. A. R., Teasdale, G. M., & Norrie, J. D. (2002). Effect of apolipoprotein E genotype on hematoma volume after trauma. Journal of Neurosurgery, 96(1), 90-96. Murdoch, I., Nicoll, J. A. R., Graham, D. I., & Dewar, D. (2002). Nucleus basalis of Meynert pathology in the human brain after fatal head injury. Journal of Neurotrauma, 19(2), 279-284. McKracken, E., Graham, D. I., Nilsen, M., Stewart, J., Nicoll, J. A. R., & Horsburgh, K. (2001). 4-Hydroxynonenal immunoreactivity is increased in human hippocampus after global ischemia. Brain Pathology, 11(4), 414-421. Nicoll, J. A., & McCarron, M. O. (2001). APOE gene polymorphism as a risk factor for cerebral amyloid angiopathy-related hemorrhage. Amyloid: The Journal of Protein Folding Disorders, 8(1), 51-55. Weir, C. J., McCarron, M. O., Muir, K. W., Dyker, A. G., Bone, I., Lees, K. R., & Nicoll, J. A. (2001). Apolipoprotein E genotype, coagulation, and survival following acute stroke. Neurology, 57(6), 1097-1100. Nicoll, J. A., Martin, L., Stewart, J., Murray, L. S., Love, S., & Kennedy, P. G. E. (2001). Involvement of apolipoprotein E in herpes simplex encephalitis. Neuroreport, 12(4), 695-698. McCarron, M. O., & Nicoll, J. A. (2001). Spontaneous intracerebral hemorrhage. New England Journal of Medicine, 345(10). Minger, S. L., Honer, W. G., Esiri, M. M., McDonald, B., Keene, J., Nicoll, J. A. R., ... Francis, P. T. (2001). Synaptic pathology in prefrontal cortex is present only with severe dementia in Alzheimer disease. Journal of Neuropathology and Experimental Neurology, 60(10), 929-936. MacGowan, S. H., Culpan, D., Love, S., Hughes, A., Ford, J. M., Morris, C., ... Wilcock, G. K. (2001). The absence of HLA-DRB1*03 is a risk factor in Alzheimer's disease. Alzheimer's Reports, 4(3), 109-114. Dunn, L. T., Stewart, E., Murray, G. D., Nicoll, J. A., & Teasdale, G. M. (2001). The influence of apolipoprotein E genotype on outcome after spontaneous subarachnoid hemorrhage: a preliminary study. Neurosurgery, 48(5), 1006-1010. Graham, D. I., Nicoll, J. A. R., & Roberts, F. (2008). The nervous system and the eye. In D. A. Levison, R. Reid, A. D. Burt, D. J. Harrison, & S. Fleming (Eds. ), Muir's Textbook of Pathology, Fourteenth Edition (pp. 280-330). London, UK: Hodder Arnold. Weller, R. O., Yow, H-Y., Preston, S. D., Mazanti, I., & Nicoll, J. A. R. (2002). Cerebrovascular disease is a major factor in the failure of elimination of A? from the aging human brain: implications for therapy of Alzheimer's disease. In J. C. De la Torre, R. Kalaria, K. Nakajima, & K. Nagata (Eds. ), Alzheimer's disease: vascular etiology and pathology (pp. 162-168). (Annals of the New York Academy of Sciences; No. 977). New York Academy of Sciences. Neuropathology seminars for postgraduate clinical trainees in Pathology and on occasions Neurology, Neurosurgery, Neuro-oncology and Psychiatry.